Stainless steel is a contemporary alternative to a wrought iron stair railing and cable systems have been extremely popular with many rail enthusiasts seeking an alternative to a solid bar stainless steel railing system. Cable railing systems are typically easy to install and very cost effective. Cable railing staircases are the perfect addition to any urban dwelling, loft or any other modern space. Additionally, pairing a cable system with stainless steel or wooden railing will create striking and creative staircase displays. Indital USA offers a wide range of cable system products. Wire ropes can be found in various dimensions in addition to other wire accessories, all of which are offered for affordable prices. Please also visit our Architect's Corner page for videos demonstrating installation techniques of stainless steel staircases, including cable railing systems. There you will also find our Custom Parts & Personal Assistance subsection. This service allows you to seek personal assistance from Indital USA. Feel free to upload and send us images, drawings or layouts for review using our simple, online format. After receiving your inquiry, you will be put into contact with our closest qualified distributor to assist with your technical questions and sourcing options. Indital USA is proud to offer a wide variety of high quality stainless steel and wrought iron stair railing systems and accessories. To see what other customers are saying about us, please see the Customer Reviews section of our website. If you have any questions, please contact us using the information found on the Contact Us section of our website. Our customer service representatives are ready and willing to assist you. At Indital USA, we are devoted to customer service and strive to make our customers’ visions of a stainless steel and wrought iron systems a reality. We look forward to hearing from you. Stainless Steel Terminal for Wire Rope 15/64"
Stainless Steel Fork Terminal to Crimp for Wire Rope 13/64" Dia. 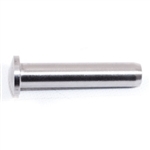 Stainless Steel Stopper for Wire Rope 13/64" to 15/64"
Stainless Steel Terminal Support for Tube 1 2/3" Dia., Wire Rope 5/32" / 13/64" / 15/64" Dia. 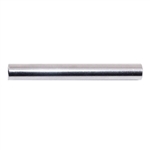 Stainless Steel External Support, for Tube 1 2/3" Dia., Hole 17/64" Dia. 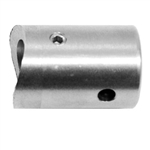 Stainless Steel External Support, for Tube 1 1/3" Dia., Hole 17/64" Dia. Stainless Steel Eye Terminal to Crimp Wire Rope 15/64" Dia. Stainless Steel Sloping Washer for Threaded Terminals for Tube 1 2/3" Dia., Hole 17/64" Dia. Stainless Steel Sloping Washer for 1 2/3" Dia. Tube, Hole 1/3" Dia. Stainless Steel Inside Left Threaded Terminal Rope 15/64" Dia. Stainless Steel Inside Right Threaded Terminal Rope 15/64" Dia. Stainless Steel Threaded Terminal (Left) for Rope 15/64" Dia. Stainless Steel Threaded Terminal (Right) for Rope 15/64" Dia. Stainless Steel Eye Terminal to Crimp Wire Rope 13/64" Dia. Stainless Steel Inside Left Threaded Terminal Rope 13/64" Dia. Stainless Steel Inside Right Threaded Terminal Rope 13/64" Dia. Stainless Steel Threaded Terminal (Left) for Rope 13/64" Dia.